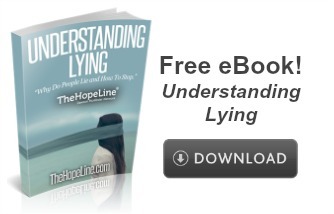 Lying is a temptation like many others we struggle with. Sometimes it seems easier to lie our way out of a situation than admit the truth. But rarely does lying have positive results. It often leads to hurt, mistrust, and an endless cycle of more lies. It doesn’t have to be this way. God in his wisdom, saw the dangers of lying and the way it would hurt both the liar and the person being lied to. He wanted something better for us. In these Bible verses below God warns us about lying and encourages trustworthiness. If we are caught in a web of lies, God offers forgiveness and help for a way out. Proverbs 12:22 – The Lord detests lying lips, but he delights in people who are trustworthy. Philippians 4: 25-27 & 29 – Therefore each of you must put off falsehood and speak truthfully to your neighbor, for we are all members of one body. In your anger do not sin. Do not let the sun go down while you are still angry, and do not give the devil a foothold. Do not let any unwholesome talk come out of your mouths, but only what is helpful for building others up according to their needs, that it may benefit those who listen. 1 Peter 3:10-12 – For whoever desires to love life and see good days, let him keep his tongue from evil and his lips from speaking deceit; let him turn away from evil and do good; let him seek peace and pursue it. For the eyes of the Lord are on the righteous, and his ears are open to their prayer. Exodus 20:16 (From the 10 Commandments) – You must not lie. Proverbs 6:12-13 – Let me describe for you a worthless and a wicked man; first, he is a constant liar; he signals his true intentions to his friends with eyes and feet and fingers. Proverbs 6:16-19 – For there are six things the Lord hates—no, seven: haughtiness, lying, murdering, plotting evil, eagerness to do wrong, a false witness, sowing discord among brothers. Proverbs 19:9 – A false witness shall be punished, and a liar shall be caught. Proverbs 21:6 & 8 – A fortune made by people who tell lies amounts to nothing and leads to death. …But the conduct of those who are not guilty is honest. Luke 8:17 – For all that is secret will eventually be brought into the open, and everything that is concealed will be brought to light and made known to all. Psalm 12:2-6 – Everyone deceives and flatters and lies. There is no sincerity left. But the Lord will not deal gently with people who act like that; he will destroy those proud liars who say, “We will lie to our heart’s content. Our lips are our own; who can stop us? The Lord replies, “I will arise and defend the oppressed, the poor, the needy. I will rescue them as they have longed for me to do.” The Lord’s promise is sure. He speaks no careless word; all he says is purest truth, like silver seven times refined. John 8:44 – For you are the children of your father the devil and you love to do the evil things he does. He was a murderer from the beginning and a hater of truth—there is not an iota of truth in him. When he lies, it is perfectly normal; for he is the father of liars. Daniel 9:9 – To the Lord our God belong mercy and forgiveness, for we have rebelled against him. 1 Timothy 1:15 – Here is a trustworthy saying that deserves full acceptance: Christ Jesus came into the world to save sinners—of whom I am the worst. Philippians 4:13 – For I can do everything through Christ, who gives me strength. 2 Corinthians 12:9 – Each time he said, “My grace is all you need. My power works best in weakness.” So now I am glad to boast about my weaknesses, so that the power of Christ can work through me.